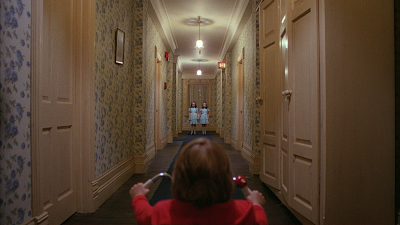 We were insanely fortunate to see a digitally-restored version of The Shining yesterday…in a theater. A real theater with an amazing sound system. I think there were ten people in attendance, including us. An amazing memory for sure. Click below to see the opening credits. Which became something totally new on such a massive screen.